A comfortable Shower Seat can make all the difference to your showering experience. Its important that the user feels secure and safe when showering and that it is an enjoyable experience. Easily fitted to any wall type, they can fold away against the wall when others are using the shower. Clip on moulded, plastic horse shoe shower seat. Leg adjustment by up to 70mm in height. 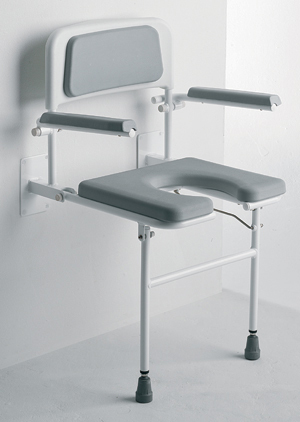 Can be fitted at a height to suit the user. Seat easily removable for cleaning. Horseshoe aperture assists with personal bathing. Folds compactly against the wall when not in use. 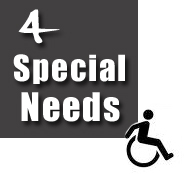 4 Special Needs Aims to give you a wide selection of special needs products for domestic households, commercial businesses, nursing homes, hotels, schools and general. So check out our entire range and make things easier for yourselve and loved ones.